New Super Mario Bros. U is not a game that takes many risks, nor is it definitively the best 2D Mario title, but it's certainly a contender. It's consistently charming, often challenging, and an excellent illustration of that which makes Mario games so special. Nintendo seemingly recaptured traditional, distilled platforming, but also incorporated a newfound attention to modern gaming trends and expectations. It’s difficult to find freshness or brilliance in a 2D landscape. Mario’s world is now three decades old. That would seem to suggest new territory is scarce, and in some ways the formulaic New Mario series had come to reinforce that fear. I think they played it safe for the most part but it is hard to argue with tried and true success. Considering the side scrolling 2D platformer has been around for the better part of 30 years I will forgive the design team for not really providing me with a ‘Hey that’s entirely new and amazing!’ moment. In the end it’s a great game with some new challenges and it is a bright light for what we have in store as Nintendo’s newest console begins its life cycle. 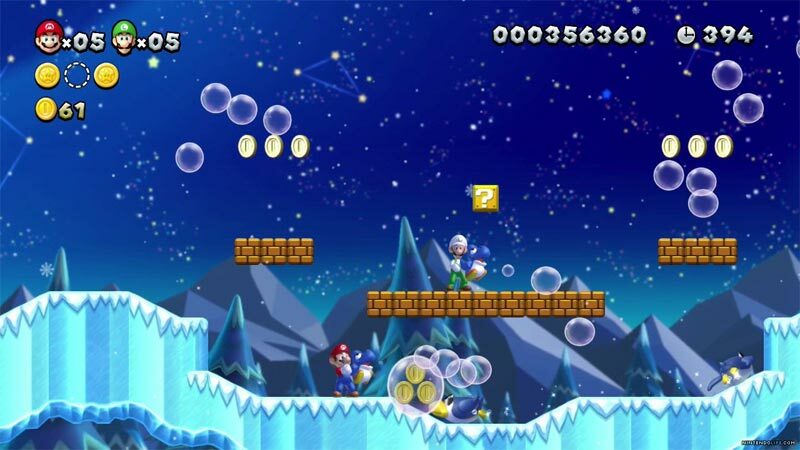 New Super Mario Bros. U plays it safe in the right areas while providing enough new things and challenge to make it worth not only playing, but coming back to for series veterans. Featuring tons of platforming fun, it plays wonderfully on both the GamePad and Wii Remote and has the best level design of any New SMB-series game to date. 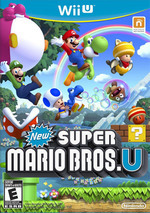 That's really what separates New Super Mario Bros. U from its "New" predecessors: It adds something to the Mario formula. 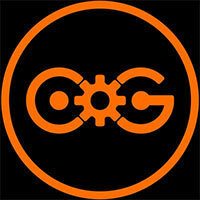 It's exciting and full of inventive ideas. Until now, the New Super Mario Bros. games have been a fun but mostly mindless reminder of how great Mario was back on the NES or SNES. It's as beautiful a game as its predecessors in the franchise, and offering some great level designs. But there does remain that itch - that the game repeats itself too much on past adventures. One easily scratched though, as this will easily eat up the time until the next Mario platformer. 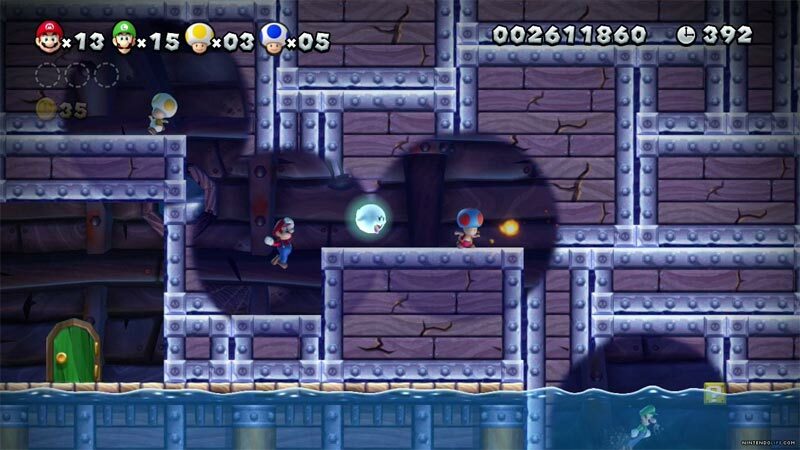 Is the plumber's Wii U debut as good as his recent 3D outings? 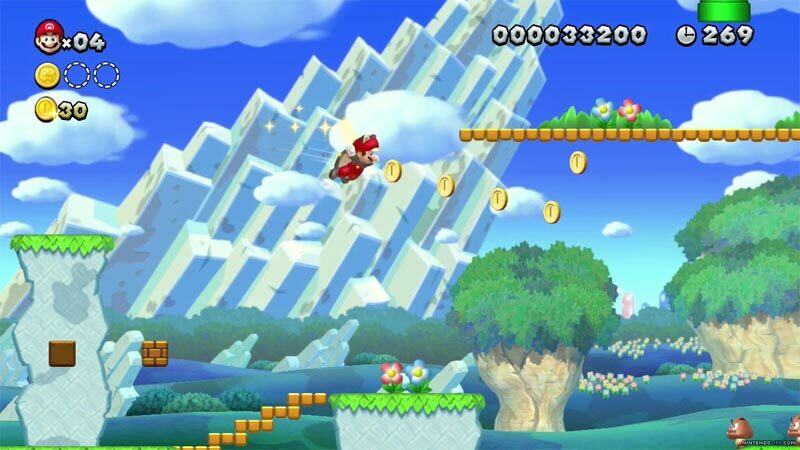 Not quite, but for the New Super Mario Bros. series, it's a real step forward in detailing, imagination and character. There's always been a keen Mario brain working away inside these 2D design exercises. Now, it feels like there's a proper soul to go along with it. 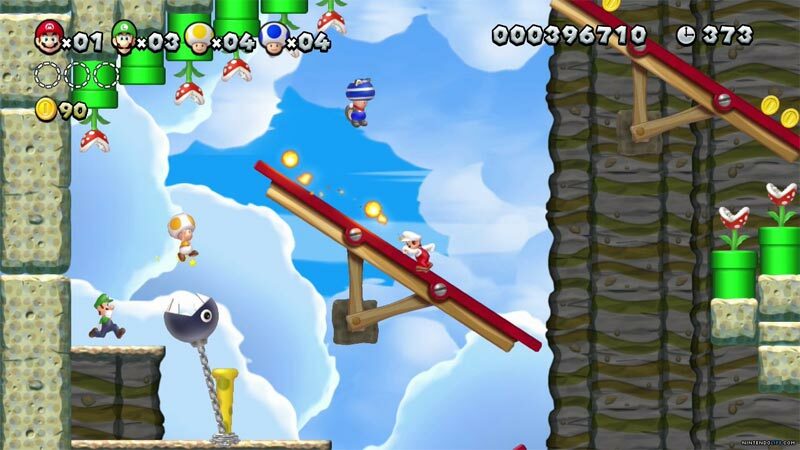 New Super Mario Bros. U is hardly a groundbreaking release. But it is a beautifully-presented demonstration of the franchise's fundamentals, with just enough extra content to hold back accusations of creative bankruptcy. Un nuevo diseño de niveles, la transición a la alta definición y puntuales pero nunca revolucionarias novedades en la fórmula original construyen un videojuego tan sólido y divertido como acostumbra el fontanero, pero que no supone nada nuevo para sus fieles seguidores. La arquitectura de la nueva consola, y el innovador GamePad, daban para mucho más, pero aún así New Super Mario Bros.
Vertraute Levelthemen, fröhlich im Takt der Musik wippende und hopsende Gegner, Bossmonster, denen man drei Mal die Platte polieren muss, kunterbunte Comicgrafik. Das funktioniert alles noch genauso so super wie am ersten Tag, schmeckt aber mittlerweile leicht abgestanden. 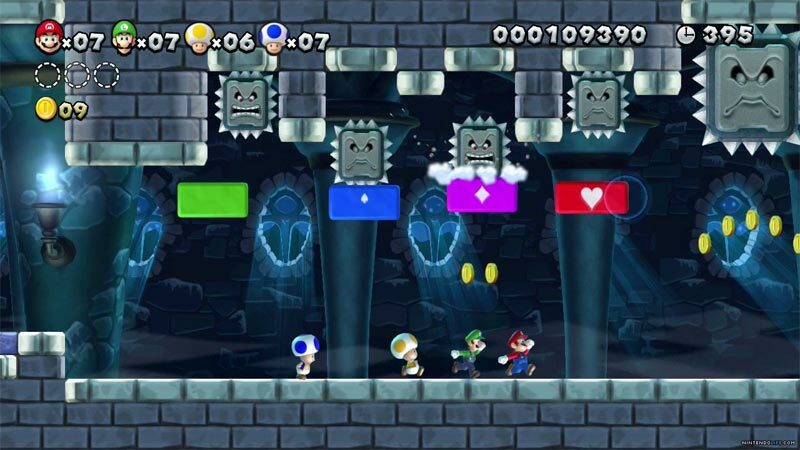 En jouant à New Super Mario Bros U, vous aurez l'impression de jouer à une version "Lost Levels" de l'épisode Wii, la difficulté ultra corsée en moins. Alors certes, ce sont de nouveaux niveaux, mais mine de rien, le game design est strictement identique à son prédécesseur et le level design ne fait pas preuve d'une imagination débordante. Mantendo uma jogabilidade de excelência, a série New Super Mario Bros continua a ser uma forte aposta no género de plataformas. Apresentando uma boa longevidade e aliado de um multijogador divertido, New Super Mario Bros. U é um título que não irá desiludir, conservando os padrões de qualidade da Nintendo.